Communication technologies have made great strides over the last decade, particularly with the advancement of smart phones. Unfortunately, these forward strides have also brought along some serious complications. Distracted driving is a serious problem on the roadways of Arizona. Instead of focusing their attention of the task of driving, far too many vehicle operators are choosing to place their attention on smart phones, GPS systems or audio entertainment systems. These troubling habits are not limited to passenger car drivers. Studies show that a significant number of truck drivers are also guilty of operating their extremely large vehicles while distracted by some device or activity. When a distracted driver causes injury to others on the roadway, an experienced Phoenix truck accident attorney fights for adequate compensation. At Plattner Verderame, P.C., we provide high quality representation for victims of distracted truck driver accidents. With our knowledge and experience, we thoroughly investigate the accident to accurately identify the actions of the truck operator in the moments before the crash. We then use this information to craft a comprehensive case that holds distracted divers accountable for their actions. In short, the “texting ban” applies only to new drivers – not to truck drivers. Talking on a cell phone. The FMCSA prohibits the use of handheld cell phones by commercial truck operators. This regulation includes reaching for a phone, dialing a phone, or talking on a handheld phone. Violations of this rule are punished with fines and driving disqualifications. Studies show that commercial truck drivers are 23 times more likely to be involved in a vehicle accident when texting. 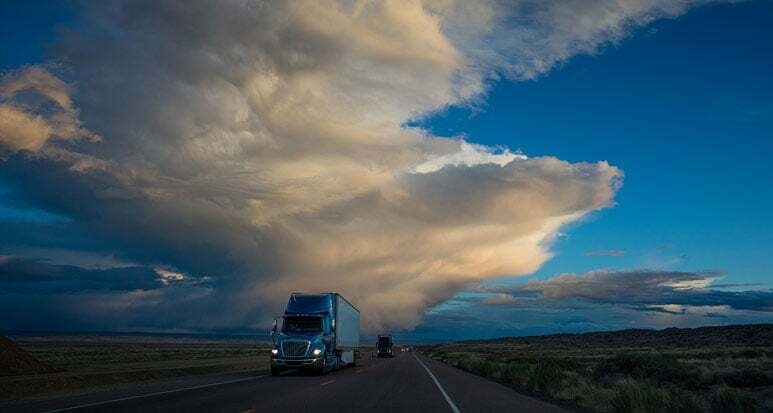 These activities are also prohibited by the FMCSA and punishable by fine and disqualification from service. Using a dispatching device. Many truck drivers use dispatching equipment to communicate with their employers. While this activity is generally allowed under the law, it can still be extremely distracting. Some trucking companies are implementing hands free dispatch systems, but many still require vehicle operators to hold dispatch communication devices. Truck drivers spend an extensive amount of time in their trucks, which often includes eating and drinking. While these activities may seem harmless, they can take an operator’s attention away from the road. Any of these actions can take a truck driver’s attention away from the tens of thousands of pounds they are driving and the many other people on the roadways around them. They may only become distracted for a few seconds, but knowledgeable Phoenix auto accident lawyers understand that even a moment of distraction can lead to a lifetime of pain and injury. When distracted truck operators cause injuries, they may not be the only responsible parties. Under a theory of vicarious liability, the driver’s employer may also be held liable for the resulting damages. Even the FMCSA levies fines and punishments on employers when truck drivers violate distracted driving regulations. The lawyers of Plattner Verderame, P.C. have the skills and resources to aggressively fight against even the largest trucking companies. Our clients benefit from skilled attorneys who truly care about their current and future wellbeing. We provide honest representation for real victims who have experienced serious injuries. When you work with us, you get representation from a law firm where every partner had been certified by the Arizona State Bar as specialists in Personal Injury and Wrongful Death litigation. We know how to effectively negotiate for high-value settlements, but we are also willing to litigate in a court of law when the need arises. The tragedy of a trucking accident can leave victims severely or fatally injured. At Plattner Verderame, P.C., our skilled Phoenix trucking accident lawyers believe that responsible parties should be held accountable for the physical and psychological pain they negligently and recklessly place on others. We handle your case on a contingency basis, so you pay nothing until we secure a settlement or verdict for you. 602-783-8793, or complete our contact form.